Emily was a brilliant and prolific poet, a genius born in the early nineteenth century. Her writing dazzled with invention and soaring thoughts, but it also often dealt with themes of death. Emily never had a lover and as she grew older she became increasingly reclusive, often refusing to meet or talk to guests, and spending most of her later years confined to her bedroom with only pen and paper for company. She kept her poems to herself, and it was only after the accidental discovery of them by her sister that they came to the world’s attention. 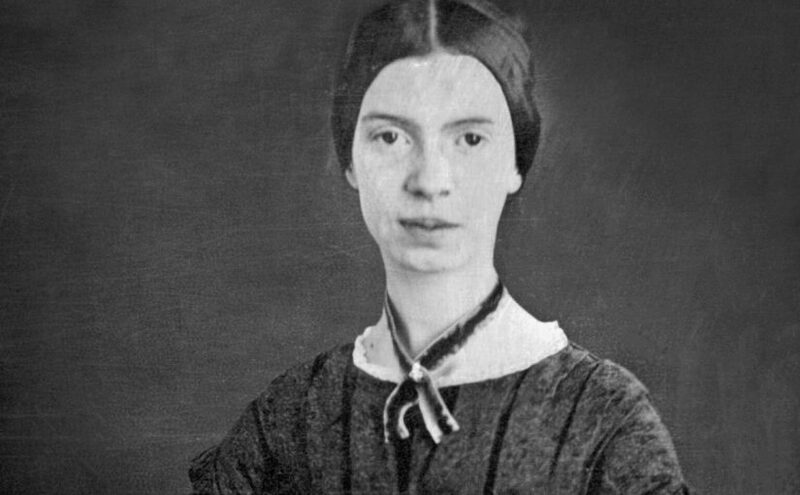 You may think I’m talking about Emily Brontë, but in fact this is Emily Dickinson – in my opinion America’s greatest ever poet, and a woman who died 132 years ago this week, aged 55. In 1844 a tragedy struck that changed Emily’s life for ever. Her cousin and best friend Sophia Holland contracted typhoid and died. From that moment melancholia settled upon Emily Dickinson, and she was often consumed by thoughts of death, illness and dying; thoughts that inevitably found their way onto the page. 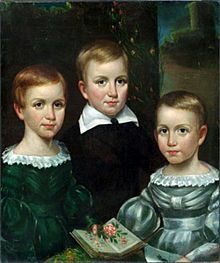 Emily Dickinson found immense fame after her death, as Emily Brontë did, and the poems of both Emilys have astonished the world ever since. 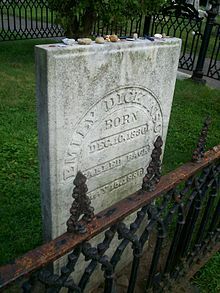 There are huge, some would say strange, similarities between the two women, but did Emily Dickinson know of the Brontës? She certainly knew, and loved, their work. In 1849 we know that Emily Dickinson read the first American edition of ‘Jane Eyre‘. It made such an impact on her that she later named her new puppy ‘Carlo’, after St. John’s dog in Charlotte Brontë’s great novel. 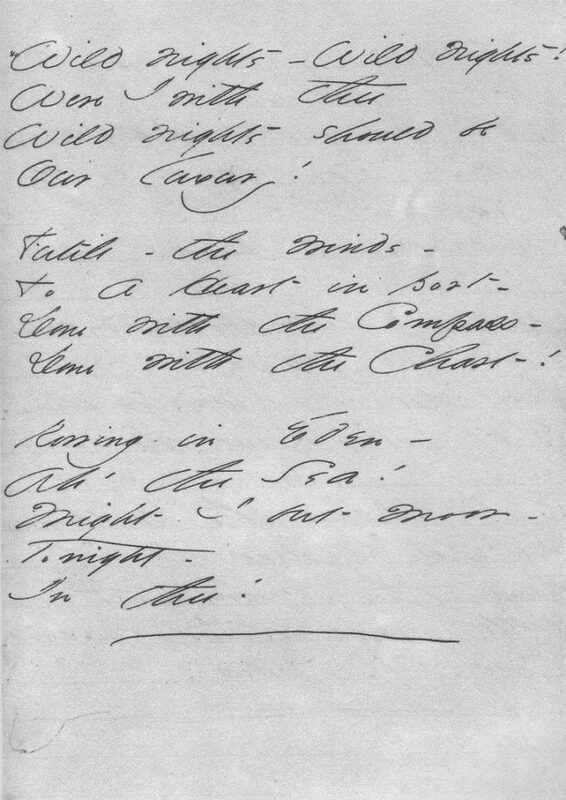 At Emily Dickinson’s funeral a solitary poem was read; it had been specifically requested by her: it was ‘No Coward Soul Is Mine’ by Emily Brontë!